Here it is folks. Todd Standing has just released the promo video for his upcoming feature film, Bigfoot North. The film will feature Dr. Jeff Meldrum as well as John Bindernagel and will chronicle Todd's research over the last 10 years. While many people think Todd is a hoaxer, there are still a number of people backing his claims as being legit. From what Todd says below, it appears Jeff Meldrum got to see a Sasquatch while out with Todd. Could this be an elaborate hoax that has fooled even the top-notch players in the field? Or could they be in on the hoax? Or is Todd's footage legit? In the fall of 2013, Todd Standing took Survivorman Les Stroud, Jeff Meldrum PhD professor of Anthropology; and wildlife biologist Dr. John Bindernagel PhD; into the Rocky Mountains and showed them Bigfoot. 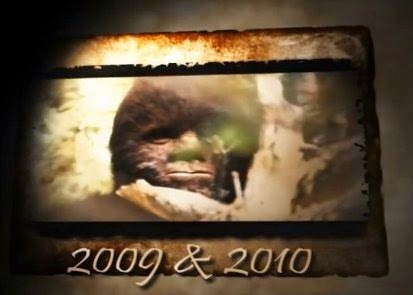 In March 2014 two episodes of Survivorman Bigfoot aired on 3 networks. Including Discovery channel US. They are by far the highest rated episodes of Survivorman of all time. After three incredible days in the field with the man responsible for the success of Survivorman Bigfoot ( Todd Standing) Idaho state University professor Dr. Jeff Meldrum witnesses Todd and his team interacting with a Sasquatch just minutes before witnessing the creature for himself. This entire event is showcased in Bigfoot North. Bigfoot North Features 5 never before seen Sasquatch Videos. Including a altercation between Todd Standing an 3 Sasquatch that will shock the world. The advance screening of Bigfoot North will take place in Seattle, Washington on Tuesday, November 25. This will one of two things..
every name mentioned in the movie will have to take credit or shame no matter what was signed. Me personally I believe it's a hoax and I already shy away from the people involved.